It is hosted by Liquid Web Inc (Michigan, Lansing,) using Apache/2 web server. 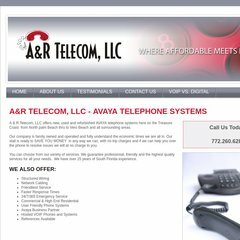 A-rtelecom.net's IP address is 72.52.239.193. There are 3 Nameservers, ns1.transparent-tech.com, ns2.transparent-tech.com, and ns3.transparent-tech.com. PING (72.52.239.193) 56(84) bytes of data. Pinging the server, resulted in a 18.7 ms response.